As good companions, cats are affectionate and intelligent, and also often independent. But as kittens they are frisky, friendly, and adorable. 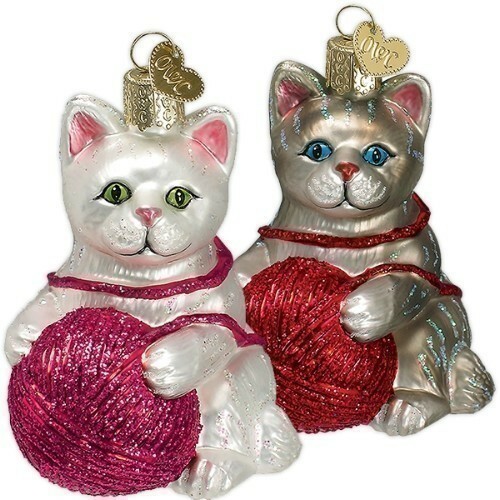 This hand-painted and glittered glass kitten has found a ball of yarn to play with, and will stay forever young as a keepsake for your tree. Size: 3.25"